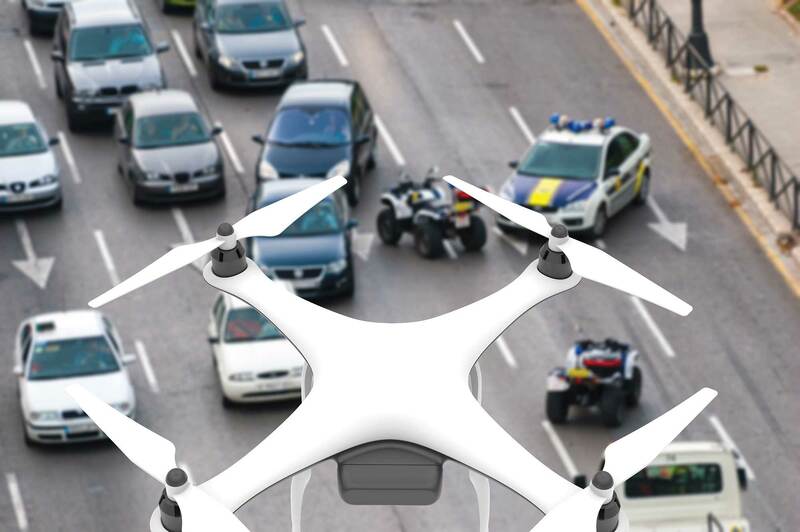 Miami-Dade lawmakers have thrown their support behind twin bills moving through the Florida Legislature that, if enacted, would expand police and governmental use of unmanned aircraft – or drones – across the state. Two pairs of bills now moving through the state’s legislative chambers aim to broaden drone use provisions by law enforcement and state and local agencies. However, bills filed by Republicans Sen. Joe Gruters and Rep. Clay Yarborough are more “expansive and useful for law enforcement” than those filed by Democrats Sen. Darryle Rouson and Rep. Susan Valdes, the county item sponsored by Sally Heyman and co-sponsored by Jose “Pepe” Diaz states. Florida law prohibits drone use by police in gathering evidence or other information except in extreme circumstances or when swift action is needed to prevent death. Under current provisions, drones may be used to counter terrorist attacks, prevent imminent danger to life or serious damage to property, stop the escape of a suspect or destruction of evidence, facilitate missing person searches and aid in judge-authorized search warrants. ■Assisting police in crowd control for events or gatherings involving groups of 50 or more people. ■Helping police with traffic management but not in collecting evidence to enforce traffic infractions. ■Facilitating police collection of evidence at a crime or traffic crash scene. ■Supporting state agencies or political subdivisions in assessing damage from floods, wildfires or other natural disasters, or for vegetation or wildlife management on publicly owned land. The expansions proposed by Democrats, in contrast, would restrict drone use to events with crowds of more than 100 attendees and not allow them for traffic management, crime scene evidence collection or assessing damages done by natural disasters. Ms. Heyman said Monday that she had remained watchful of drone technology and associated legislation. The new state laws would broaden how they could be used but not at the expense of personal freedoms. Further, she said, it would provide the county with a better means by which to assess damage after natural disasters in real time and devise the best strategies by which to address it. General distrust of a governmental “eye in the sky” notwithstanding, Miami-Dade residents’ trepidation about the technology can be traced to as recently as 2017. Early that year, the Miami-Dade Police Department applied for a Department of Justice grant to begin using airborne wide-area surveillance tools, similar to those used in the Iraq War, in the county’s Northside district. That June, Police Director Juan Perez was scheduled to ask county commissioners to retroactively OK the move. But less than a week later, citing community criticism and privacy concerns, he pulled the proposal and funding application. A month later, Miami-Dade police joined officers from Broward and Monroe counties for a 40-hour drone course. Drones are also significantly quicker to use, Mr. Diaz said, but present legal strictures require that police or county personnel obtain a court order prior to flying them in investigating an accident. If the bills pass, that hurdle would be eliminated. While police drone use remains restricted across the state, that hasn’t stopped some cities from using workarounds. In late December 2018, Miami Beach police flew a small, tethered dirigible over an event connected to the Orange Bowl to track its 15,000 attendees, according to a Jan. 3 letter City Manager Jimmy Morales sent to city commissioners. Miami Beach Police spokesperson Ernesto Rodriguez told Miami New Times in January the “tethered balloon” was “new technology, smart technology” and not in violation of state drone laws. The House bill, which already cleared the chamber’s criminal justice and state affairs committee with just one “nay” vote of 37 possible, is now in the judiciary committee, whose preliminary acceptance of the item passed 17-1. Its counterpart, now in the Senate rules committee, previously progressed through both the criminal justice and infrastructure and security committees 4-1 and 8-0, respectively.